Whether it’s a marketing event, product launch, party or fundraiser, the Facebook Event application is a free, effective way to promote an event and reach a wide audience. It is a great way to encourage people to engage, post on your wall and invite other friends. 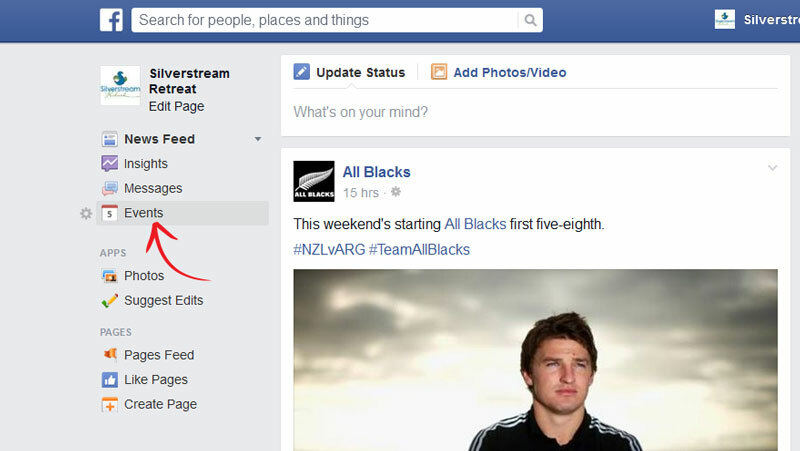 The Facebook Event application is quick and simple to set up. Click Events on the left side of your homepage. Click Create in the centre or on the left side under My Events. Fill in the event name, details, location and time, and then choose your privacy settings. Keep in mind that you must include an event name and time. Click Invite Friends to add friends to the guest list. Check the names of the people you want to invite and then click Save. 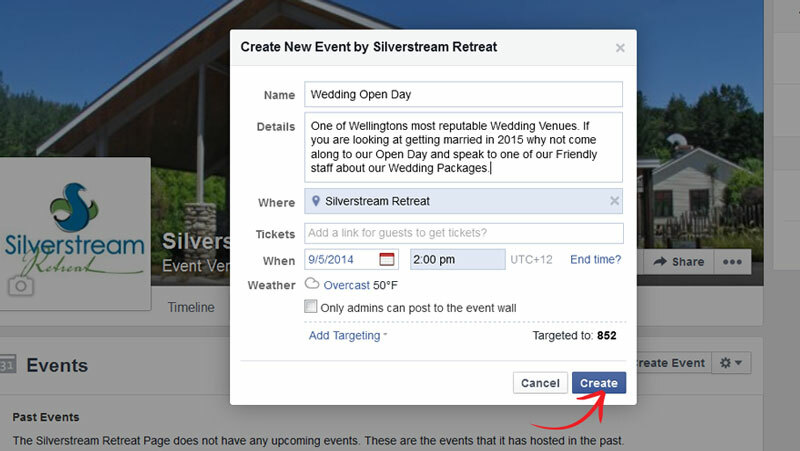 You’ll be taken to your event where you can share posts, upload photos, invite more guests and edit event details. For more details about creating an event and additional information like adding a place, weather information and sending messages to event guests visit Facebook Events. Create a registration page on your website, you can then direct traffic from your Facebook Event to the site. Here you can have more information about the event. Update your Facebook cover photo with an image that promotes the event and then include a link to the registration page on your website. Share the Event on your Facebook timeline, include a link to the Event page and add a call to action such as ‘Register Now’. Images draw the most attention so make sure you use an eye catching image promoting the event. Keep followers updated with information about speakers, discounts, competitions or pictures of the event preparation. If you have speakers or presenters at the event you can tag them in your post and encourage them to talk about the event. Give away tickets and create a buzz around the event. You can give away tickets by running a contest on your page, ‘like this post and be in to win free tickets’. Post videos from past events, tag guests and business that are in the videos. Videos attract more attention than text posts. 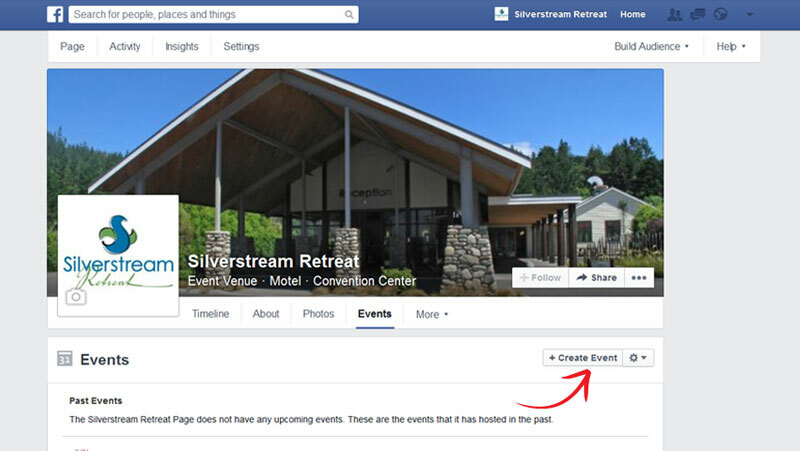 Include a link to your Facebook Event page in your email signature. As the event date approaches post reminders for guests that have register and create some urgency for those that haven’t registered ‘Tickets selling fast’.